A program of coloristic brilliance lit up Zellerbach Hall on Thursday, Dec 3, as the Berkeley Symphony, led by new artistic director Joana Carneiro, traded woodsy warbling with shimmering strings. 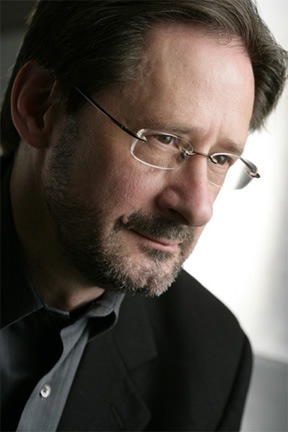 Living composer Steven Stucky was featured along with two works that he loves: Jean Sibelius’ Symphony No. 7 and Igor Stravinsky’s Firebird Suite. Stucky wrote Radical Light in a single movement, opening with sylvan flutes and handing off to bassoon. The strings slowly materialized, bowing long soft notes, almost a tremolo without the quaver, multi-toned and ghostly like the echo of a shout inside a piano. Using a French coloring (Debussy’s Syrinx comes to mind), violins fluttered and flutes bubbled their way up a scale. Like Sibelius, Stucky’s minimal use of theme and slow glittering changes defined the work of an architect rather than a mason—structural diagrams and brightly painted scrims were the order of the day, not Wagnerian bricks and mortar. As violins dropped out, brass bloomed, then shifted into lower gear with trombone and bass drum. A triangle flared and died away to end the piece. Sibelius’ last symphony followed, seamless and riveting. Likewise written in a single movement rather than the typical four, the material shifted slowly and continuously. While some themes recurred (like the “Aino,” named for his wife), the emphasis was on transition, reflecting the composer’s later vision. Sibelius used the plainest of materials—simple scales and C major—but built an enduring edifice with them. Where Stucky’s offering was spring-like and ephemeral, Sibelius shrouded his forms to gather tension. Basses trudged up the scale, handing off to cellos, while horns gently entered. Flute and violins asked and answered, glowing through the fog. After intermission Stucky returned with Elegy from August 4, 1964, a work commissioned by the Dallas Symphony for President Lyndon Johnson’s centennial. “Something perverse in me made me accept the commission,” Stucky said, describing that date as “…two events that defined our national question and national character.” The discovery of the bodies of three young civil rights workers in Alabama caused a national furor and allowed LBJ to push the Civil Rights Act through Congress. And that same day, a miscommunication from an American ship in the Gulf of Tonkin led to our invasion of Vietnam. Elegy was written for the 3.7 million Vietnamese and 58,000 Americans who died in that war. Based on the sixteenth century double chorus “O vos omnes,” Elegy is framed in slow half-step fragments. It is a sound that is unfinished, describing a life taken from its time. French horns intoned the solemn descent, and oboes softened the phrase, descending another half step. The Berkeley Symphony was equal to the emotional demands of the work. The orchestra was exceptionally bright and tight, led by flute and harp. Fingers splayed between beats in frozen tableaus, Carneiro’s dramatic conducting framed the allure and fire of the Russian myth. The audience responded on their feet.